This hair bow is crocheted to lay flat by using chains on the edges instead of working single crochets all the way around. I was trying for a rounded Hello Kitty effect. It's made in 3 parts which are stitched together then stitched to a hair clip. Break off end. Sew the two pieces together on the narrow ends. Row 1: Sc in second ch from hook, sc in each stitch across ch 1 to turn. Break off ends, wrap it around the narrow section of the bow and stitch ends together and secure to bow. 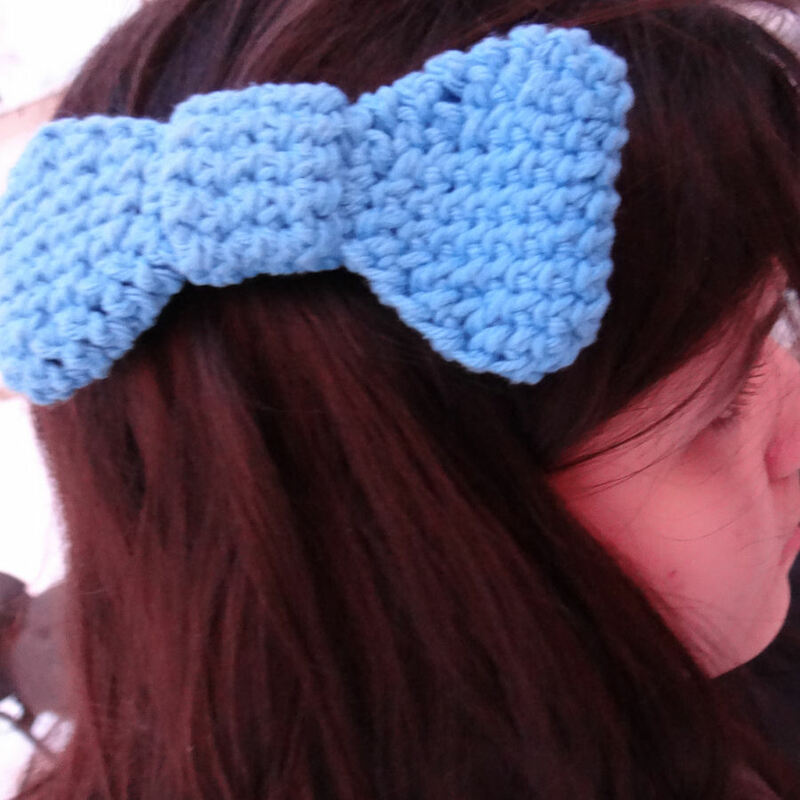 Then stitch the bow on to a barrette, comb or hair slide! You can also start with a chain 5, increase to 7 stitches and decrease from there to make a smaller bow. But I like this size! 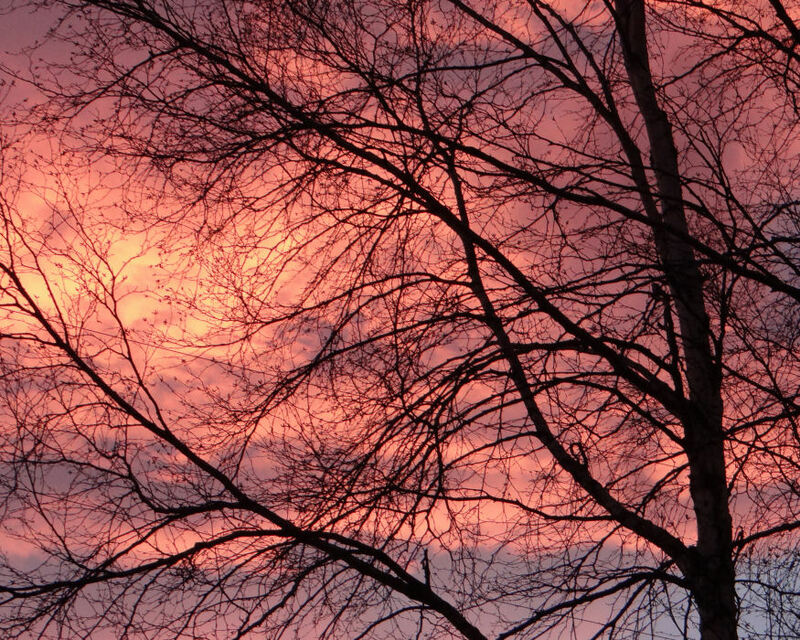 Check out the gorgeous sunrise we had this morning!